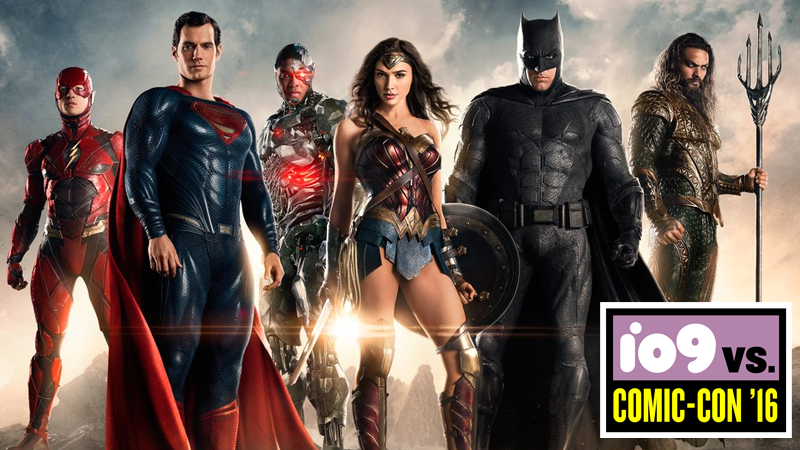 DC’s cinematic heroes assembled for the first time at this year’s San Diego Comic-Con for a team photo. But that’s not all—we also have the very first teaser trailer and it’s a hell of a lot more fun than Batman v Superman. See for yourself! I hate to say it, but I love snarky Batman. It just fits Affleck’s Batman really well. Jason Momoa’s Aquaman is a force of nature, and Ezra Miller’s Flash is great too. I wish there was more Cyborg, but hey, Warner Bros. must have scrambled to get this ready for Comic-Con—the Flash scene is the same one we saw being filmed just last month. Looks much better with the effects.